There is a concept of trading or observing the market with signal processing originally created by John Ehler. He wrote three books about it. There are number of indicators and mathematical models that are widely accepted and used by some trading software (even MetaStock), like MAMA, Hilbert Transform, Fisher Transform (as substitutes of FFT), Homodyne Discriminator, Hilbert Sine Wave, Instant Trendline etc. invented by John Ehler. But that is it. I have never heard of anybody other than John Ehler studying in this area. Do you think that it is worth learning digital signal processing? After all, each transaction is a signal and bar charts are somewhat filtered form of these signals. Does it make sense? Wavelets are just one form of "basis decomposition". Wavelets in particular decompose in both frequency and time and thus are more useful than fourier or other purely-frequency based decompositions. There are other time-freq decompositions (for instance the HHT) which should be explored as well. Decomposition of a price series is useful in understanding the primary movement within a series. In general with a decomposition, the original signal is the sum its basis components (potentially with some scaling multiplier). The components range from the lowest frequency (a straight-line through the sample) to the highest frequency, a curve that oscillates with a frequency maximum approaching N / 2. Denoising is accomplished by recomposing the series by summing up the components from the decomposition, less the last few highest frequency components. This denoised (or filtered) series, if chosen well, often gives a view on the core price process. Assuming continuation in the same direction, can be used to extropolate for a short period forward. As the timeseries ticks in real-time, one can look at how the denoised (or filtering) price process changes to determine whether a price movement in a different direction is significant or just noise. One of the keys, though, is determining how many levels of the decomposition to recompose in any given situation. Too few levels (low freq) will mean that the recomposed price series responds very slowly to events. Too many levels (high freq) will mean for fast response but , perhaps too much noise in some price regimes. Given that the market shifts between sideways movements and momentum movements, a filtering process needs to adjust to regime, becoming more or less sensitive to movements in projecting a curve. There are many ways to evaluate this, such looking at the power of the filtered series versus the power of the raw price series, targeting a certain % depending on regime. Assuming one has successfully employed wavelet or other decompositions to yield a smooth, appropriately reactive signal, can take the derivative and use to detect minima and maxima as the price series progresses. One needs a basis that has "good behavior" at the endpoint so that the slope of the curve at the endpoint projects in an appropriate direction. Unfortunately, I am not aware of any wavelet basis that avoids the above problems. There are some other bases that can be chosen that do better. If you want to pursue Wavelets and build trading rules around them, expect to do a lot of research. You may also find that though the concept is good, you will need to explore other decomposition bases to get the desired behavior. I don't use decompositions for trade decisions, but I have found them useful in determining market regime and other backward looking measures. You need to investigate how to differentiate interpolation methods versus extrapolation methods. It's easy to build a model that repeats the past (just about any interpolation scheme will do the trick). The problem is, that model is typically worthless when it comes to extrapolating into the future. When you hear/see the word "cycles", a red flag should be going up. Dig into the application of "Fourier Integral", "Fourier Series", "Fourier Transform", etc, and you'll find that with enough frequencies you can represent any time series well enough that most retail traders can be convinced that "it works". The problem is, it has no predictive power whatsoever. The reason Fourier methods are useful in engineering/DSP is because that "signal" (voltage, current, temperature, whatever) typically repeats itself in the circuit/machine where it was generated. As a result, interpolating then becomes related to extrapolating. #Now, notice the difference in the "fit" of the blue line versus the red line. Ehler's website has a technical papers section where there are papers available for free download, with code, so you can try things out for yourself. I personally have taken some of his ideas and combined them with other reading, forums etc. on the net and think that applying DSP to trading shows great promise and is definitely worthy investigation. If you are interested, I am blogging about my progress in applying these principles here. The DSP techniques you're referring to are great for repeating signals, but not suitable for random signals (like price movements). While there are some techniques suitable for picking weak signals out of large noise environments (GPS is one that comes to mind), those techniques depend on knowing what the signal looks like, and if you knew what the signal looked like, you'd own the market. Cycle analysis and signal processing might be useful for seasonal patterns but without knowing more about the performance of such an approach to trading I would not consider a degree in signal processing for just trading. Would you be happy applying what you learn on standard engineering type problem because that may be what you'll be stuck doing if it doesn't work well enough with trading. DSP and Time Series analysis are the same thing. 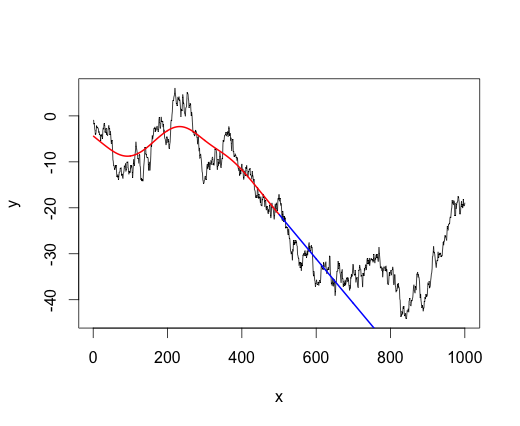 DSP uses enginering "lingo" and time series analysis uses mathematical "lingo" but the models are quite simular. Ehler's cyber cycle indicator is an ARMA(3,2). Ehlers has some unique ideas: What is the meaning of the phase of a random variable? Forget all these so called "Technical indicators". They are crap, especially if you don;t know how to use them. My advice: buy a good wavelet book, and create your own strategy. I've found John Ehler's Fisher Transform quite useful as an indicator in trading futures particularly on Heikin-Ashi tick charts. Not the answer you're looking for? Browse other questions tagged trading digital-signal-processing or ask your own question.